Will the Lincoln Museum Hold On to Its Hat? The Abraham Lincoln Presidential Library Foundation says they have been making the same fundraising call for 11 years, and they’re at the end of their proverbial rope. 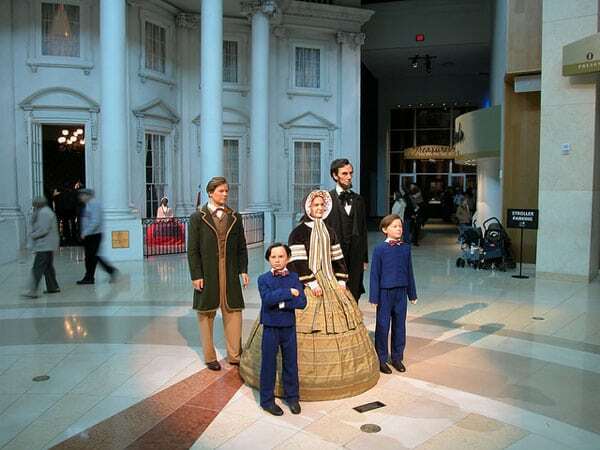 The foundation, which supports the programming for the Abraham Lincoln Presidential Library and Museum, took out a $23 million loan in 2007 to buy a tremendous collection of artifacts, including one of Lincoln’s iconic stovepipe hats, the gloves he had in his pocket the night he was assassinated, some letters between him and his wife, Mary Todd Lincoln, and more. Carla Knorowski, the foundation’s CEO, said these artifacts added a personal side to the museum’s collection that really helped Lincoln’s legacy come to life. The loan was slightly larger than the foundation’s total assets at the time, and about seven times its total revenue that year. Now, though donors have provided $13 million to repay the loan over the past 11 years, the foundation needs to raise nearly $10 million in the next year to fully pay it off. That last minute may have arrived. Knorowski says longtime donors are asking when the state is going to step in. The foundation says it is hoping for a $5 million state tourism grant. State representatives say they aren’t sure about that yet. And a GoFundMe campaign that has been running for three months has raised $27,250, or less than half of one percent of the necessary funds. “After 11 years of fundraising for a specific campaign, there comes a point at which you have donor fatigue. They need a new song, they need a new angle…a tourism grant would break the logjam,” Knorowski said. Deaccessioning is not new to readers of NPQ; we’ve seen the Berkshire Museum and the Ford House consider this tactic. However, the Lincoln museum is only 13 years old, and the items being considered are prominent parts of its collection. The foundation has generally had healthy finances, although not ones that generated an extra $23 million. Nearly every year, they ran a small but respectable net surplus. However, a few hundred thousand dollars each year hasn’t been enough to cover the loan, of which $9.7 million remains to be paid by October 2019. They have an asset balance of over $32 million, but about two-thirds of that is temporarily or permanently restricted. The experience of selling the Monroe items is what galvanized the museum to start now looking for an auctioneer for the Lincoln items, even though they hope they eventually won’t have to sell; apparently it took 10 months to organize and hold that auction. We are in a historically significant moment as far as the racial history of this country is concerned, so it’s important to ensure events are documented properly. What are activists to make of a refusal to cooperate?